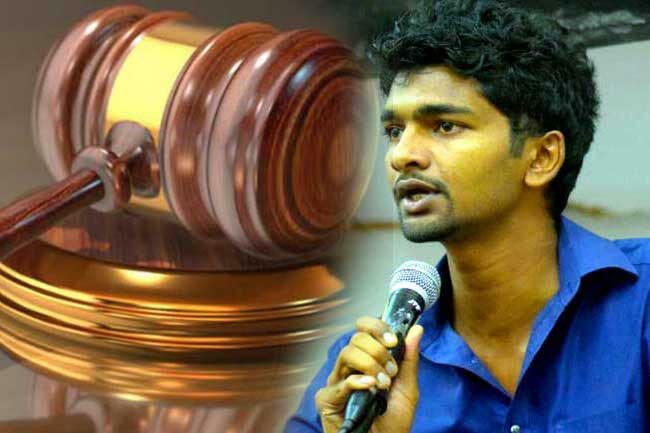 The inter-University Students’ Federation (IUSF) Convenor Maheel Bandara Dehideniya who was remanded following a protest at the Parliament Road has been granted bail by the Colombo Magistrate’s Court. Dehideniya was arrested over unruly behavior during the protest at the Parliament Road on March 13th. As per the orders of the Colombo Magistrate, he was then remanded, on the 14th of March. The protest launched by the IUSF over several demands including the defeat of the proposed Counter-Terrorism Act and abolishment of the Prevention of Terrorism Act (PTA), created heavy traffic congestion at the road from Parliament roundabout towards the Parliament, which had to be temporarily closed off to contain the protest. Subsequently, the police had to fire tear gas and water cannons to disperse the protestors.